As a company that prides itself on being not afraid to go where others will not, ATP Science has earned a reputation as an industry-leader in completely transparent, authentic and 100% science-based health and nutrition supplements. 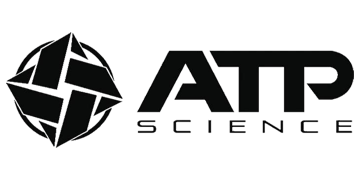 Unlike many other supplement brands that model their products off loose scientific findings, ATP Science is solely dedicated to combining cutting-edge science and nutrition to find real solutions to some of our generations most demanding health and fitness problems. Combining the expertise of a health fanatic, naturopath and an innovative formulator, ATP Science is the creation of three completely unique geniuses. 100% Australian owned and manufactured, ATP Science ensures quality control by doing everything in-house - from distribution and branding to marketing and manufacturing. Designed for the everyday health-conscious person looking for the right products and education to transform their life, ATP Science offers a product range that is truly uncompromising in benefits and diversity. Including protein powders, fat loss supplements, gut health aids and general wellbeing enhancers.